Figure 1: Axial slice of T2-weighted MRI. Planning treatment volume is highlighted in red. 100% isodose line delineating the area receiving the presciption dose is highlighted in yellow. Radiation dose is purposely sculpted around the spinal cord. Figure 2: Axial CT slice of a tumor involving the cervical spine. 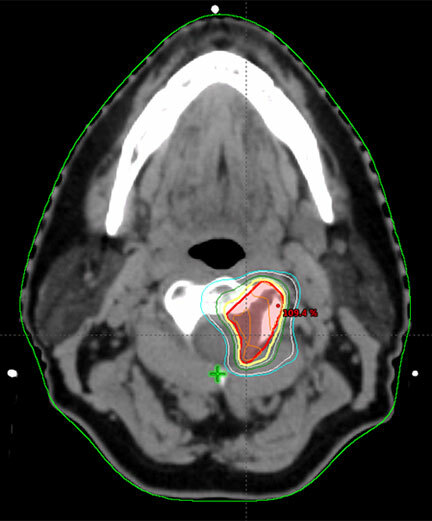 Planning treatment volume is highlighted in red. 100% isodose line delineating the volume receiving the prescription dose is highlighted in yellow. 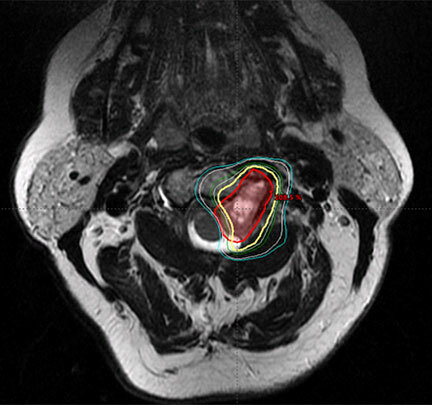 Figure 3: Coronal slice of T2-weighted MRI showing the treated lesion highlighted in red. The yellow line denotes the volume receiving the prescription dose. The green line denotes the volume receiving 90% of the prescription dose. For patients with metastatic spinal cancer, pain is frequently a common issue and can be related to the tumor itself or instability of the spine. Relief of pain and management of spinal instability are essential goals with this patient population. Dr. Zacharia explains, “The vertebrae often do not successfully fuse in these patients, due to the effects of radiation therapy, malnutrition and the patient’s poor general health. We thus opt for a less extensive approach to fixation and fusion, which minimizes unnecessary risks and post-operative morbidity.”¹ This modern approach combines the latest in radiation technology with a limited, but safe and effective operation to provide optimal patient outcome, and improved quality-of life in this patient population. FELLOWSHIP: Surgical neuro-oncology, Memorial Sloan-Kettering Cancer Center, New York, N.Y.
RESIDENCY: Neurosurgery, New York Presbyterian Hospital-Columbia University, New York, N.Y.
MEDICAL SCHOOL: Columbia University College of Physicians and Surgeons, New York, N.Y.
RESIDENCY: Radiation oncology, Tufts-New England Medical Center, Boston, Mass. MEDICAL SCHOOL: New York University, School of Medicine, New York, N.Y.
Laufer I, Rubin DG, Lis E, Cox BW, Stubblefield MD, Yamada Y, Bilsky MH. 2013. The NOMS framework: approach to the treatment of spinal metastatic tumors. Oncologist. Jun;18(6):744-51. Yamada Y, Bilsky MH, Lovelock DM, et al. 2008. 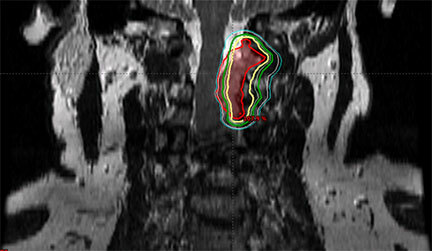 High-dose, single-fraction image-guided intensity-modulated radiotherapy for metastatic spinal lesions. Int J Radiat Oncol Biol Phys. Jun 1;71(2):484-90.